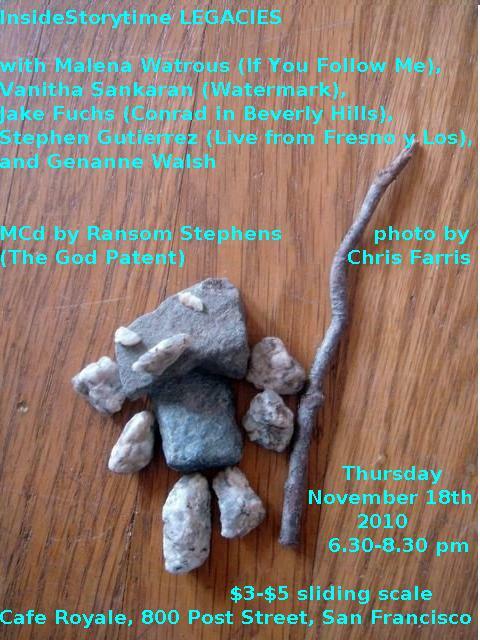 Vanitha Sankaran read from her novel Watermark concerning fourteenth-century papermaking. Jake Fuchs told stories of early Hollywood from his novel Conrad in Beverly Hills. Malena Watrous read from If You Follow Me on Japanese trash disposal etiquette. Stephen Gutierrez contributed the story “Freddy Fender in Commerce” from his award-winning collection Live from Fresno y Los. Genanne Walsh read from a novel-in-stories-in-progress about a Southern community's response to the death of a young man.